GAIN UP is a combination of 19 herbs that supports natural weight gain by increasing appetite and improving metabolism. It also promotes good energy levels and fitness by building body’s resistance. It is suitable for both men and women. We are manufacturer and supplier of Body Mass Tribulus 750. Taste test of Serious Mass Chocolate Peanut Butter. What all precautions should be taken while buying mass gainer. Supplements providing best results for gaining weight. Unboxing of ON Optimum Nutrition Serious Mass Gainer. We are offering a wide range of Body Maker Capsules. With the valuable assistance of skilled team of professionals, we are engaged in offering an extensive range of high-quality Body Gainer Powder. 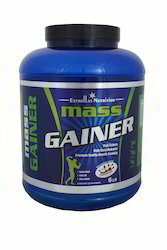 Our company is widely appreciated for offering Mass Gainer Supplement to clients. Offered range is highly appreciated and applauded by athletes and body builders for positive and effective result. 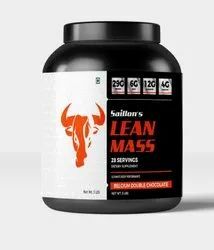 Mass Gainer Supplement is processed by our professionals with utmost accuracy and in strict conformity to industrial parameters.